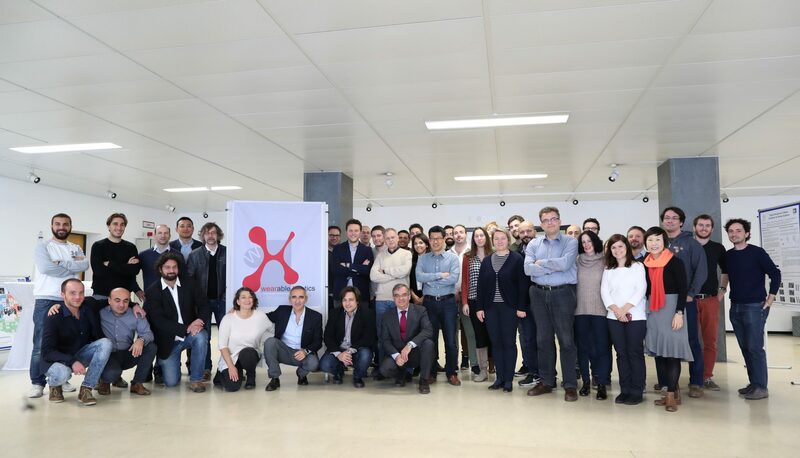 In the article the journalist Viola Bachini explains what is the European Project Wearable Haptics for Humans and Robots-WEARHAP and the future applications on which is focused the research of the Professor Prattichizzo and his group. 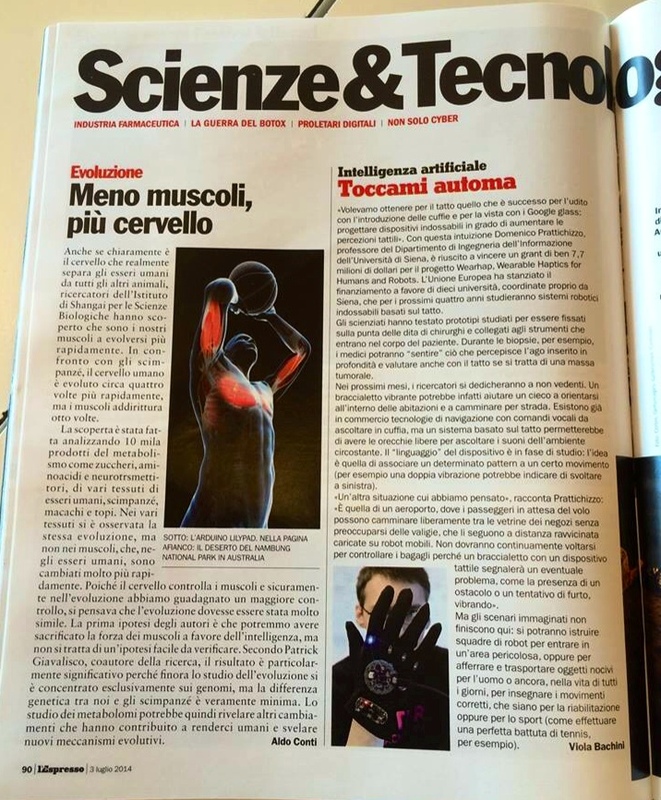 Find the article in the section “Science and technology” of the magazine L’Espresso this week on page 90! Previous PostPrevious June 25, 2014-The Innovation show in Siena: Domenico Prattichizzo at RNext. Next PostNext The revolution of Tactile Angels: vibrating bracelets for the remote guidance of blind people.